Fallout 76 just had its first beta and will be getting its next fairly soon, and then the full release is just days after that. The game is a dramatic step in Bethesda's journey to lighten the tone of their nuclear apocalypse series, so with that comes marketing that enjoys the contrast between those horrors and the mirth and merriment of exploring the wasteland. In this case, that comes in the form of a live-action trailer for the upcoming game. 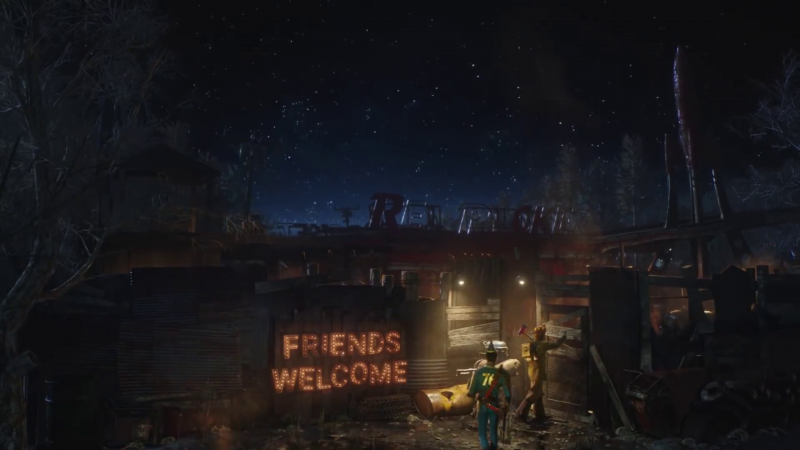 The trailer tells you how you'll be spending your time in the West Virginia wasteland with friends. No one says your impending doom has to be done alone, especially when the next best option is a robot, so might as well make the best of it. Fallout 76 releases November 14 on PlayStation 4, Xbox One, and PC.